Coinciding with Israeli Prime Minister Benjamin Netanyahu’s six-day visit to India, NASSCOM in partnership with Indiaspora organised the Tech Triangle Summit today, in a bid to strengthen the trilateral ties between India, Israel and the US for innovation and entrepreneurship. The summit, which was aimed at celebrating the growing collaboration and cooperation between the three nations, saw the confluence of senior level entrepreneurs, government officials and investors, including R. Chandrashekhar, President of NASSCOM; Rajan Navani, Board Member of Indiaspora; MR Rangaswami, Founder of Indiaspora and Israel Y. Ganot, Managing Director of Mass Challenge. According to the official statement, the chief focus of the summit was to explore the different ways in which the ties between the three countries can be deepened in the future, especially in domains such as geopolitics, business and industry, innovation and entrepreneurship and financial investments. During the course of the event, a number of other areas of trilateral collaboration – in technology, entrepreneurship and investment realms – were also highlighted. As part of the Tech Triangle Summit, NASSCOM and MassChallenge signed a MoU, along with the Deshpande Foundation, committing to offer a scholarship of $5,000 each for up to 10 Indian startups. The alliance is geared towards helping startups access MassChallenge Israel’s resources and focus on growing their businesses. Selected Indian startups will join the other MassChallenge Israel 2018 finalists for the four-month equity-free accelerator in Jerusalem. As an added push to promote business opportunities in the US, India and Israel, a trilateral fund of $50 Mn was also launched by Israel-India Technology Group at the summit. “We are launching a trilateral investment partnership, a platform which is primarily for the needs and aspirations of the trilateral opportunities. Our model uses Israel as the supplier of technology, India as a mass market opportunity and the US — which is the third important part of the equation — brings in capital,” added Dennis Mehta of Israel-India Technology Group. During NASSCOM’s Tech Triangle Summit, Zinnov and Indiaspora also jointly unveiled a report titled “USA-India-Israel – An Ocean of Opportunities”, outlining the promising technology, investment and entrepreneurial opportunities across the three markets. The report further illustrated how rapid growth of startup ecosystems has emerged as a driving force of mutual engagement between the nations and stressed on the need to intensify trilateral collaboration to unlock full potential. 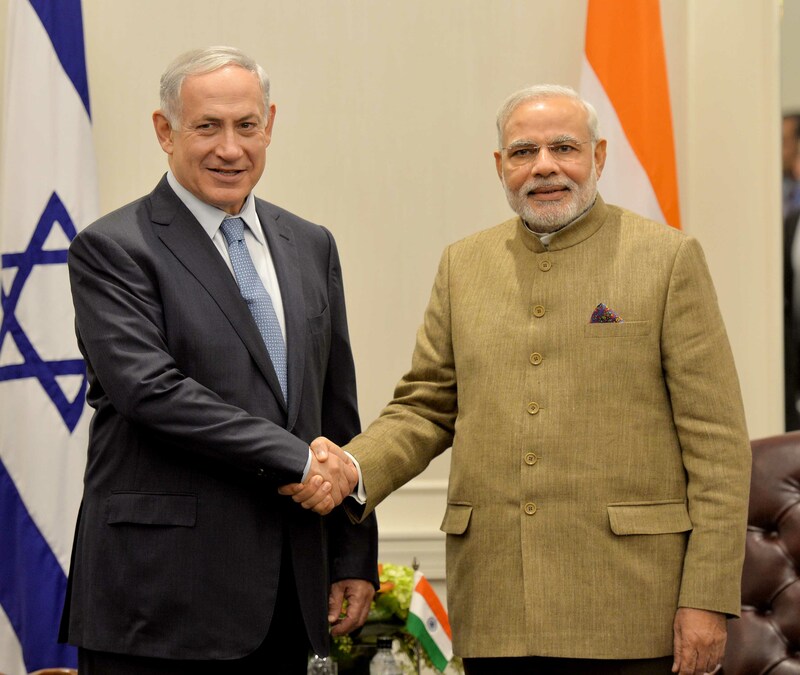 On the eve of Israeli Prime Minister Benjamin Netanyahu’s visit from January 14 to January 20, the India Israel Business Innovation Forum was also launched today to take the collaboration between the two countries further. Over 100 delegates from 74 Israeli companies from various industry sectors such as water, agriculture, foodtech, cybersecurity, homeland security, defence, software, IT and others have reportedly joined the forum. As part of the event, more than 10 business collaborations/MOUs are also expected to be forged between Indian and Israeli companies. The National Association of Software and Services Companies (NASSCOM) is a trade body and the chamber of commerce of IT-BPM industries in India. With more than 2100 members, which include both Indian and multinational companies that have a presence in India, NASSCOM’s member and associate member companies are broadly in the business of software development, software services, software products, consulting services, BPO services, e-commerce & web services, engineering services and animation and gaming. Recently, in December 2017, NASSCOM signed an MOU with Dalian Municipal People’s government in China to launch a collaborative platform. Dubbed as the Sino-Indian Digital Collaboration Plaza (SIDCOP), the platform will be powered by AI and IoT, so as to enable technology exchange between the startup ecosystems of both the countries.